We all know the importance of a file and how frequently we use it, for example, either we create a new file, update or delete something from it. 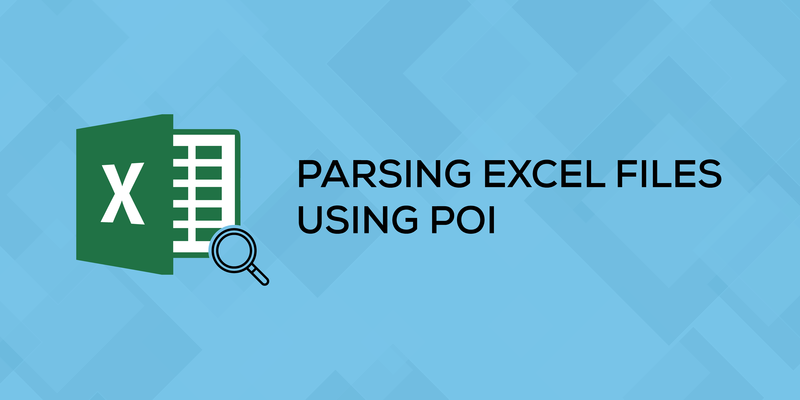 Selenium helps to automate file manipulation, so in this blog, we will learn how to install the POI jar file and how to perform the read operation on excel with the help of JAVA IO package and APACHE POI library. Note : For .XLS file read write, we can use .JXL jar file. However, it will not support .xlsx file. Step 1. 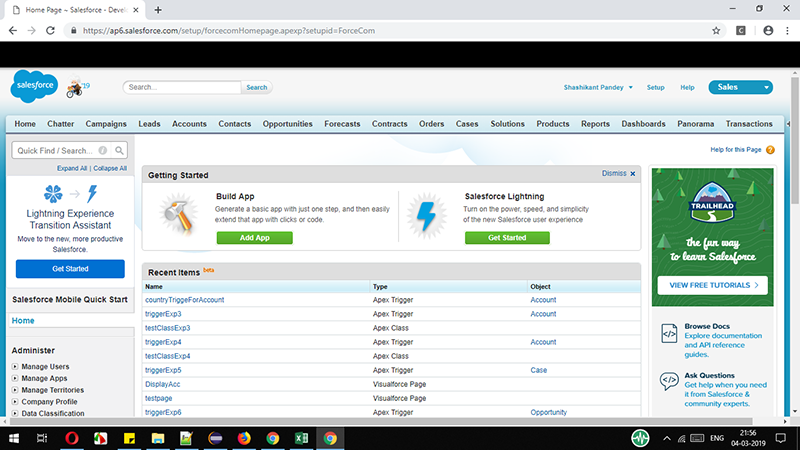 If you do not use Eclipse, then the first and foremost step is to install the latest version of Eclipse. Step 2. If you haven’t added WebDriver, then download the webdriver jar file and add to the library. Step 3. 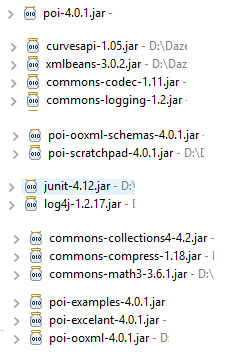 If you are using Maven, then use the following dependencies. Step 4. 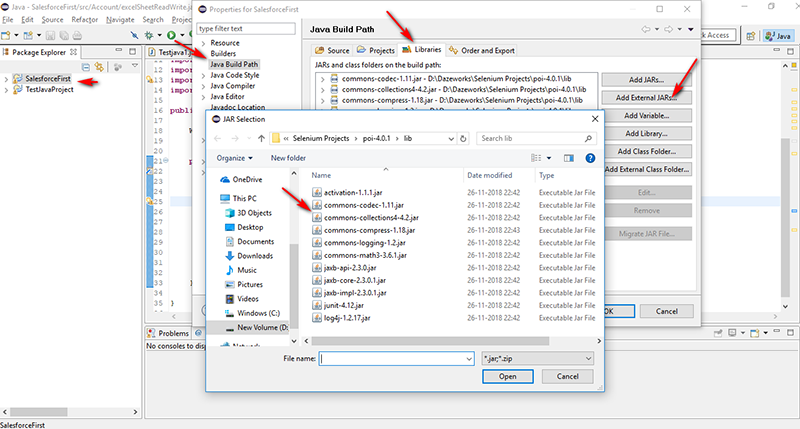 Once the jar file is downloaded, then unzip the file and add library file into your project. XSSFRow :- XSSFSheet classes implement this interface represent a row of XLSX file. HSSFRow : – HSSFSheet classes implement this interface represent a row of XLS file. 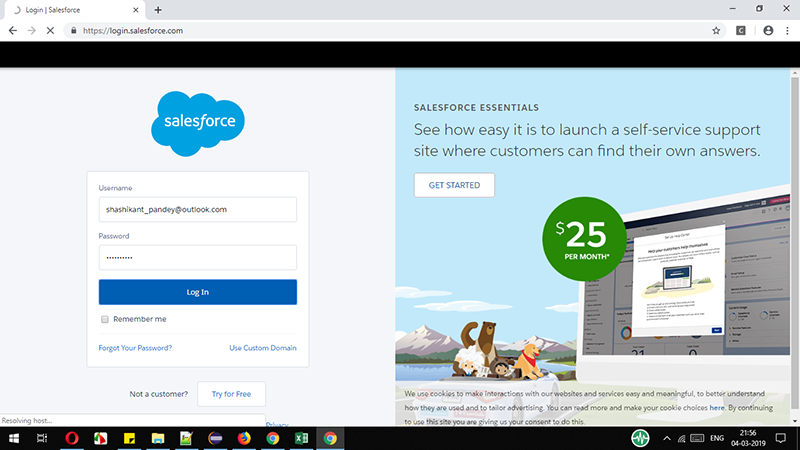 Once above code is run using eclipse, the browser will open automatically and user would be naviagated to Login URL and then username and password will be fetch from excel file to login into salesforce.